Iain Martin from Skipedia recently took part in the CCC ultramarathon – part of the UTMB trail running weekend. 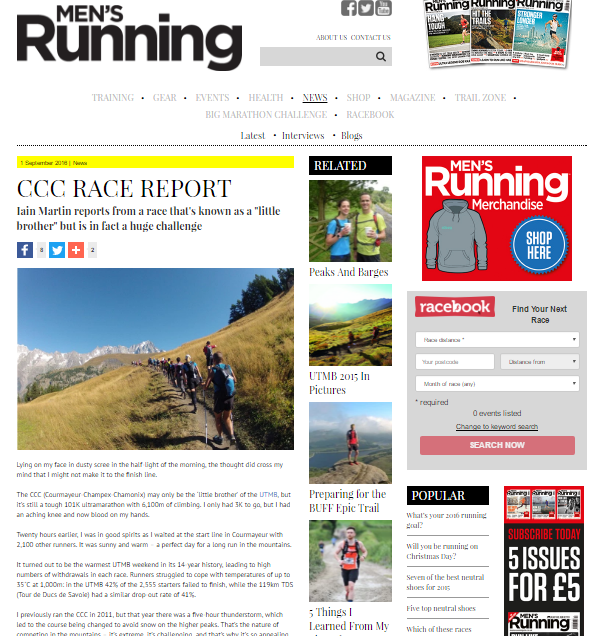 His report of the 101km race from Courmayeur in Italy to Chamonix in France was published online on ‘Men’s Running Magazine’ last week. You can read the full article on their website.